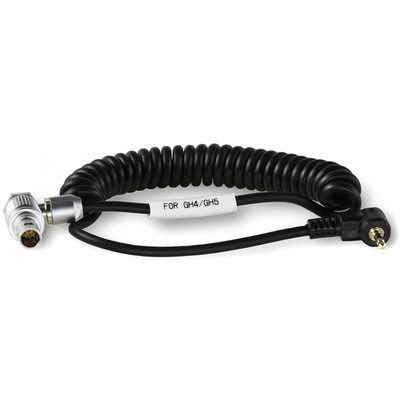 Product #60555 | SKU RS-01-GH | 0.0 (no ratings yet) Thanks for your rating! This Tilta Run/Stop Cable for Wooden Handle 2.0 (31.8cm) was designed for the Panasonic GH4 and GH5 cameras to allow you to record start/stop your camera. Simply connect the 7-pin end of the cable to one of the available “Tilta Right Side Wooden Handles with R/S Button” and the LANC end of the cable to the Panasonic Remote port in the Panasonic GH cameras for operation.